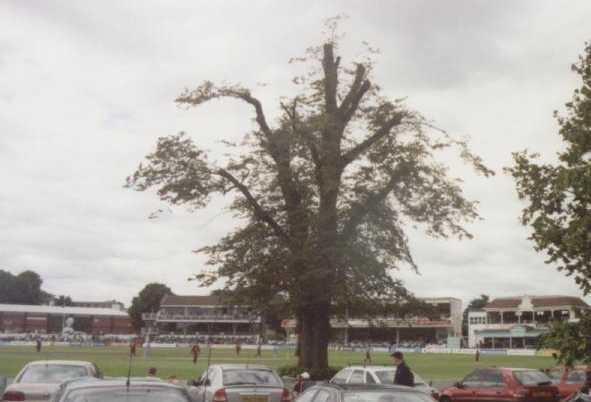 The once 120-foot high (but pollarded to a travesty of its former grandeur after heart-wood fungus was diagnosed) lime tree within the boundary was there when the ground, then known as the Beverley ground, was created in 1847 and is thought to have been about 185 years old. 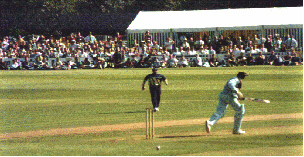 Only four people have ever scored a six by hitting over the top of the tree - Colonel A.C. 'Jacko' Wilson in 1922, Learie Constantine in 1928, Jim Smith in 1939, and Carl Hooper in 1992. 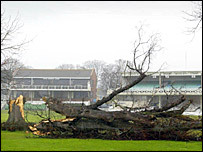 It was finally destroyed by storms on the night of the 7th of January 2005. 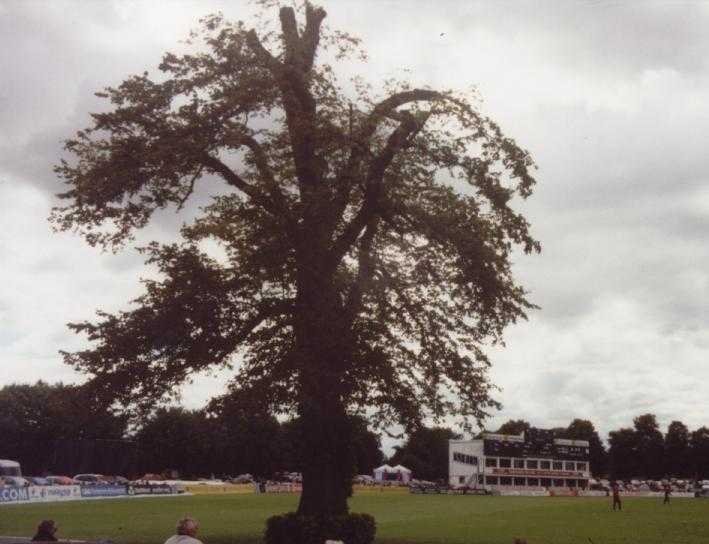 A tree currently 20 feet high (now outside the boundary following the redevelopment), has been installed as a replacement. Ground is subject to a cold wind from the North Sea on all but the sunniest days. A major redevelopment was planned,fell victim to the credit crunch, but has now taken place. 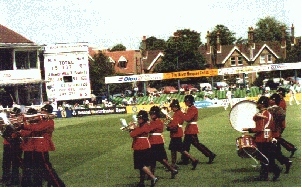 Grass has grown over the worst-affected areas. Many of the perimeter trees have been removed, giving improved views of Canterbury Cathedral, but unfortunately also improved views of Kent and Canterbury Hospital. The views have also been enhanced by five massive floodlighting pylons. At least this should stop any repetition of the farce when a floodlit match was called off because of fears that the temporary lighting might blow down. 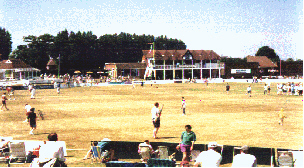 The square was relaid, three pitches per year, after criticism that Canterbury pitches were becoming soporific. It seems to have been effective. 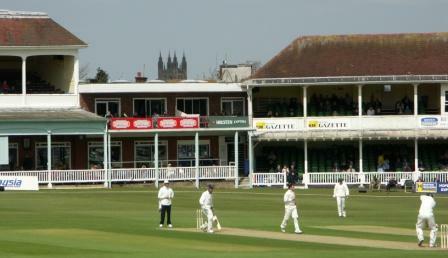 The Kent-Essex game in 2011 took just over two days and Kent were docked eight points for "inconsistent bounce". Warwick Road,Tunbridge Wells. TN2 5ES. Three quarters of a mile from station. Walk via the town, and then along rhododendron-rich Warwick Park road. 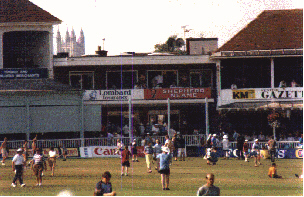 A mile from Maidstone East, a mile and a half from Maidstone West (across the river). 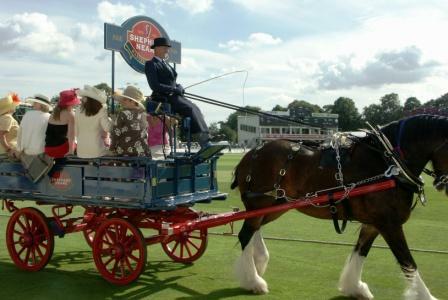 Both routes conveniently pass "Ye Olde Thirsty Pig" in Knightrider Road which provides a very pleasant Biddenden cider. The ground is within Mote Park, which slopes sharply down to the North, so sixes hit to the Lower End take a long time to be collected. 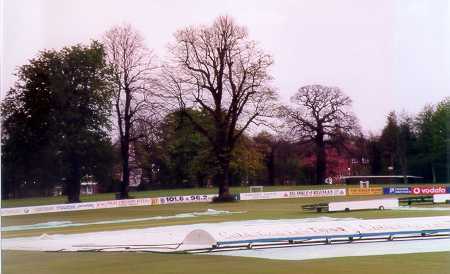 Normally a high-scoring ground, but 2005 saw heavy rainfall after a very hot day and it became so sticky that eight points were deducted. 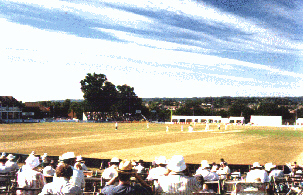 It may be some time before county matches are played there again. 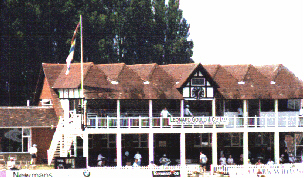 A new ground has been created at Beckenham, between Worsley Bridge Road (main entrance) and Copers Cope Road (side entrance). Nearest Stations: Lower Sydenham, New Beckenham. Alternatively Beckenham Junction - both rail and Tramlink (from East Croydon and Wimbledon) and Beckenham Hill.